Some of you may have caught wind of something going on in the Chicago area recently. 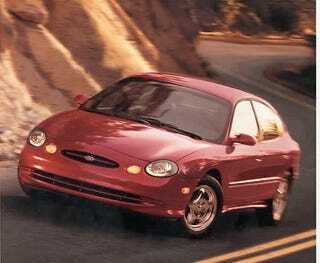 Some weeks ago I was contacted by a representative at Ford about an upcoming Focus group in Chicagoland about the next generation Taurus. They wanted specific input and information from SHO enthusiasts. I was asked to give them about a dozen names of people from the LOCAL area (there are good reasons for this I will go into later) for this focus group. I was asked to keep it quiet till after the event and asked those that I contacted to do the same, and for the most part, that was accomplished. The one thread that was on SHOforum about this, was not anything specific, and didn't really cause any problems, but it was deleted just to be sure. So if you saw that and wondered what it was about, that is what happened. Last night (Monday, 5th of May) a dozen SHO enthusiasts met at a hotel in Schaumburg for a 2+ hour focus group session. Here is what we did NOT see: We saw NO prototypes. we saw NO drawings, we saw NO parts of any new car, the entire session was video taped. Here is what we DID see: A Chrysler 300, A dodge Charger and an Chevy Impala, all in the same shade of silver with all identifying marks taped over. We sat at a table across from a very friendly and skilled interviewer that led a fairly free flowing exchange of information. We were asked about our own history with the SHO, we were asked about what we liked about the SHO, and didn't like, what made a SHO, a SHO, and also what we might like to see in any future SHO or Ford sedan. After a while, several representatives of the new Taurus program came into the room and we gathered around the cars assembled. When asked which one appealed to us, almost all said the Charger. This seemed to surprise the interviewer since we claimed "stealth" as one of the main factors attracting us to the SHO. But I think we answered that by several of us stating that although we can appreciate the Charger in that group of three, it is maybe too up front for what we would like to see in the SHO. Also, great styling need not be so "in your face" as the Charger. The Ford staff assembled were given a chance to ask us specific questions about their individual area of expertise, as in wheels, seats, paint colors etc. Then we were let loose on the assembled Ford people to just talk and mingle. In talking with one rep, he was floored that virtually every one of us put ROAD/ TRACK performance over straight line/drag performance. He had somehow gotten the opinion that the original SHO was all about the drags. Glad we caught that one. Drags are fun, but track days and overall handling is much more important. Of course engines and drivelines were discussed, and here the group was less of a single mind, with likes running from 400+ hp twin turbo revvers, to 5.4L torque monsters with and without blowers! I commented that with $4 a gallon gas soon to be reality, maybe something in the 280-300 hp range with GREAT handling, style and quality and decent MPG would be relevant. I think most of us agreed that gimmicks were less desired over things like great brakes, suspension, gauges, seats (gen 1 and II style seats with bolsters were a big request) and a unique engine to the SHO at least in the Taurus/Sable line were high points and things like "I-Drive" GPS and other tech things were down on the list. Trying to keep weight down was also a big point with most people. Oddly, we left out a big desire of the previous early focus groups, a hand emergency brake. Maybe it isn't important anymore? Some suggested maybe a two tier car with the "nice" version for more average buyers, and a lighter, lower content "performance" version for the gung ho, like most of us! Most everyone wanted a car with "three pedals" but if an auto was part of it, steering wheel buttons or paddles are less important than a good shifter and proper programming for quick up and downshifts when called for, and maybe even blipping the throttle on manual downshifts. The FWD, AWD, RWD question came up, and I think most wanted RWD, with AWD as the second option, but a few would be just as happy with FWD as in the past for safety and also cost. Defeatable Stability/traction control was another big request, as was a factory accessory, modification parts program with actual performance parts, suspension parts etc available at dealers or through Ford, and included in the factory warranty.